For over two and a half decades, Pendarvis Manufacturing has offered a broad range of machining capabilities and services to a wide variety of industries in the Southern California, Anaheim area. With all of our machining experience, aluminum machining is an area that Pendarvis Manufacturing excels in. 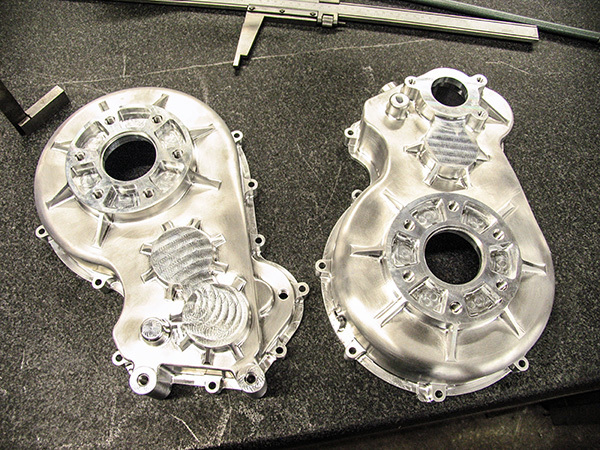 We use the latest in CNC software from Surfware to machine aluminum at high speeds. By combining the technologies that Surfware has patented, along with newer CNC machines, we are able to produce precision machined aluminum parts at speeds not even attempted just a few short years ago. Pendarvis Manufacturing has the in-house capability to handle all shapes of aluminum stock, including flat bar, angle, channel, sheet and tubing. The maximum aluminum stock that we can handle is 15 inches round and 12 feet long. Hurco VM3 Vertical Mill Envelope of 50" by 18" by 18"
Pendarvis Manufacturing has manufactured aluminum-machined components for the electronics, aerospace, electrical, and energy generation industries, to name a few. Aluminum machining is one of our specialties – use the expertise of Pendarvis Manufacturing team for all your aluminum machined parts requirements! Pendarvis can machine many materials aside from aluminum. Also see our high speed machining project portfolio.